The PerMix PTP series Paddle Mixer is an innovative design of the conventional Ploughshare Mixer, but it generates gentler mixing (for turbulence sensitive particles) and requires less power consumption. 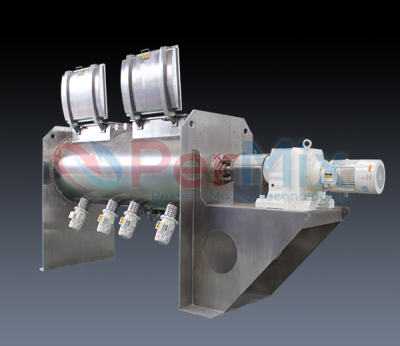 Besides, the PerMix PTP series Paddle Mixer has a better performance when the materials are with liquid and viscous, for example, slurries, this is because the conventional plough mixing element tends to be stick and wrapped by the viscous materials while the new paddle agitator doesn’t. The main difference between our PTP Mixer and PTS Mixer is the mixing element: PTS Mixer uses the plough shaped element, while PTP Mixer uses the paddle element. 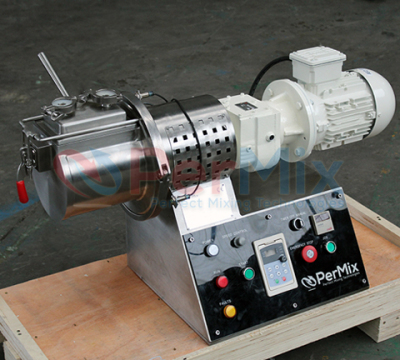 The PerMix PTP series Paddle Mixer can be used wherever the Ploughshare Mixer is used, including but not limited to compounding, fine mixing, dispersing, suspending, emulsifying, deaerating, tempering, accelerating chemical or physical reactions, granulating, breaking down agglomerates, etc. It is suited for such difficult processes as mixing trace elements in proportions of up to 1 in 1,000,000 parts. PerMis designs the full range of paddle mixer including the lab size & pilot size models for Research & Development purpose. The small size machine is very helpful for customers when the ingredients for R&D are expensive, thus helping our customer to save their limited budget at the first stage. With the good performance of the lab & pilot mixer, it is easy to scale up for a medium size or even bigger one. 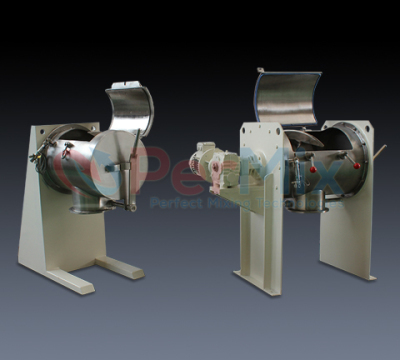 The installation of PerMix Multi-chopper in the basic PTP powder mixer enables the breaking down of agglomerates during the mixing process. 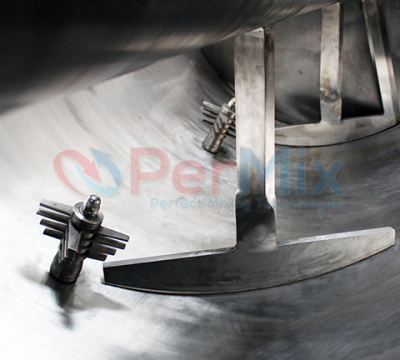 Together with the mixing element, the PerMix Multi-chopper removes lumps in the initial product, chops pasty adhesives and hinders the formation of agglomeration during the moisturizing of powdered substances. The PerMix Multi-chopper is operated independently by its own motor. We can supply machines for continuous work when a large capacity per hour is needed for the same material. Continuous paddle mixers differ from batch paddle mixers in that the mass flow of the product is from the inlet of the container to the discharge at the opposite end. With some special modification, the PerMix PTP series Paddle Mixer can be used as a multi-stage process vessel eliminating the need for additional specialist equipment. 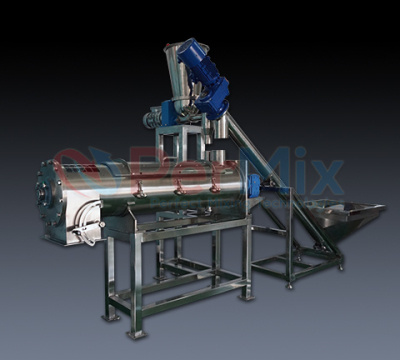 It can be used as a mixer-dryer, mixer-granulator, de-aerator, reactor and cooler. 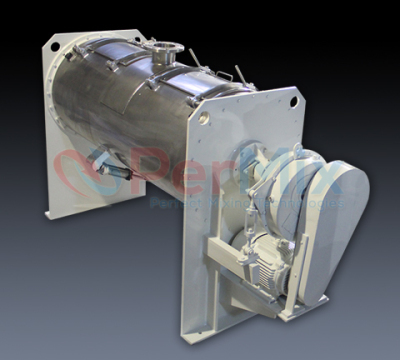 Click here to find more information about the unique PerMix PTPD series Vacuum Mixer Dryer.